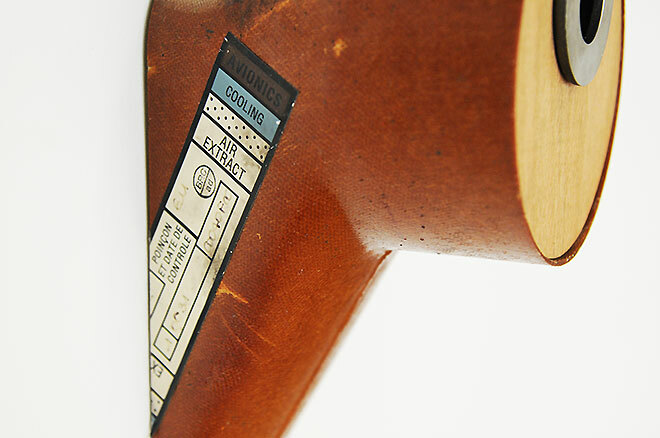 Aircraft Workshop releases a new set of unusual bird boxes made from an old passenger jet - exclusive now at elemental! Photograph above by Sophie Broadbridge. The Aircraft Bird Boxes are weather-proof bird houses made from intricate and unusually shaped fresh air ducting from an Airbus A320 passenger jet. An original set was made as part of Kevin’s Supersized Salvage, Kevin McCloud’s channel 4 programme from 2014 in which elemental also took part as retail advisers. 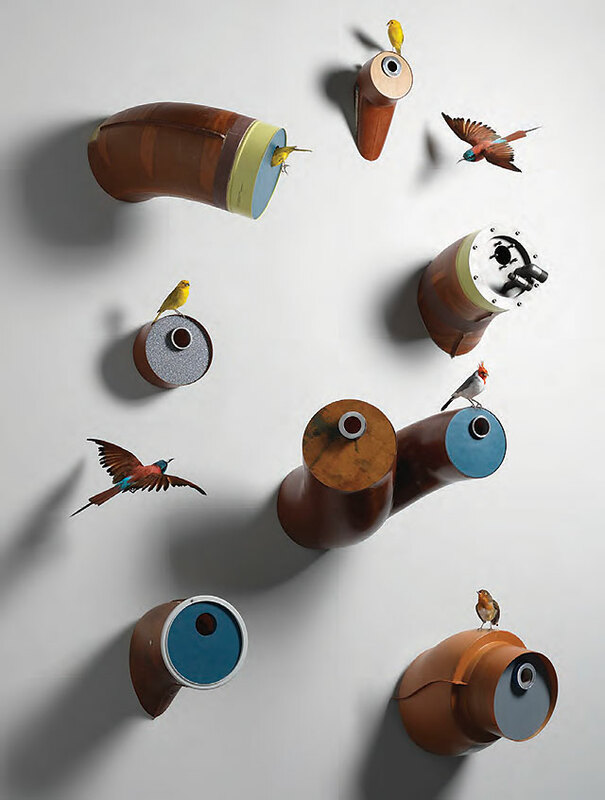 Each section of pipe is unique making each bird box an original handcrafted product. 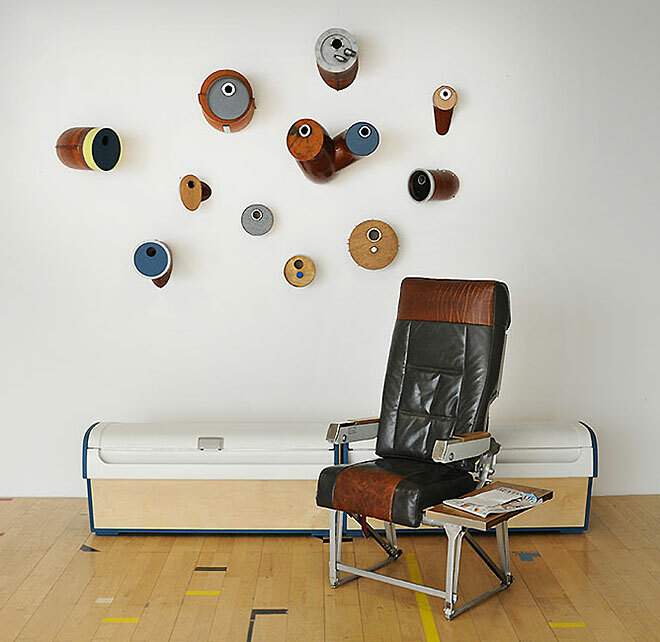 Harry Dwyer and Charlie Waller set up their company, Aircraft Workshop, after they featured on Kevin McCloud’s Supersized Salvage upcycling an entire decommissioned Airbus A320 passenger jet. On the programme the pair made an initial set of bird boxes as well as other products including a toy box made from an overhead locker and wall hooks re-imagined from various components including ashtray covers! All of these items and others are currrently for sale exclusively through elemental. Recycling vehicles such as aircraft often focuses on high value desirable parts made from precious metals or popular recognisable parts. The bird boxes are neither and celebrate the unusual forms of the strange hidden parts of the aircraft. The pipework is non-recyclable and would have ended up as landfill. 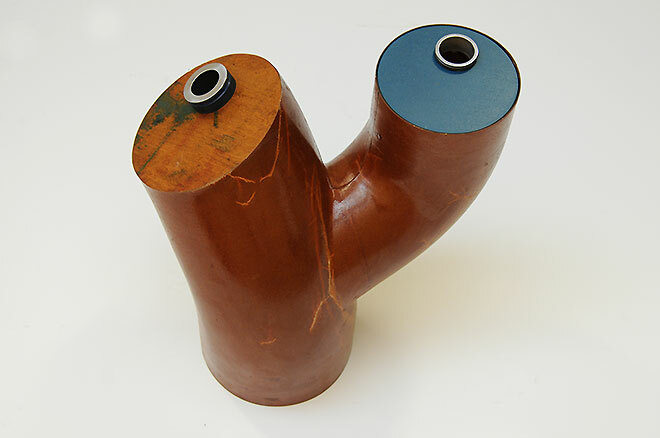 The pipes are made from a resin fibre material which whilst very light weight is very durable. The entrances are made from polished fuel pipe fittings and the perches from first class coat hooks.